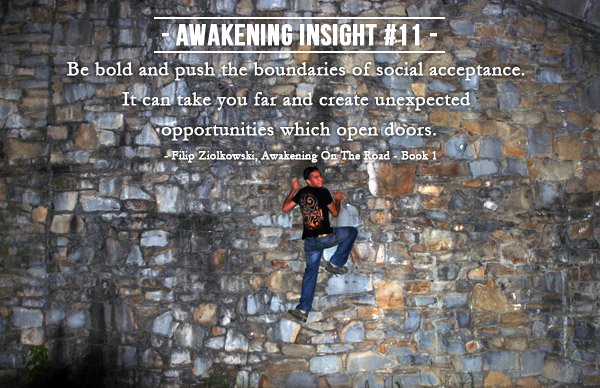 AWAKENING INSIGHT #11 Be bold and push the boundaries of social acceptance. It can take you far and create unexpected opportunities which open doors. Be bold and push the boundaries of social acceptance. 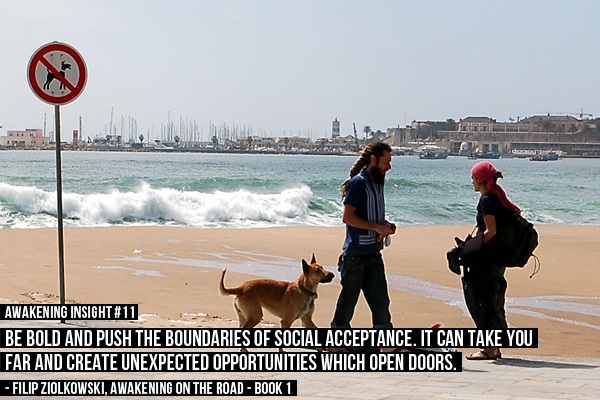 It can take you far and create unexpected opportunities which open doors.